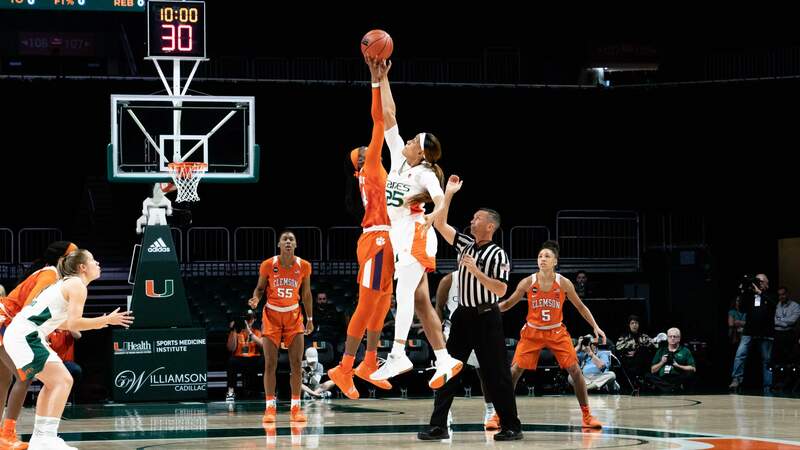 CORAL GABLES, FL — In a huge statement early in conference play, the Clemson Tigers (11-5, 2-1) registered a come-from-behind win against the No. 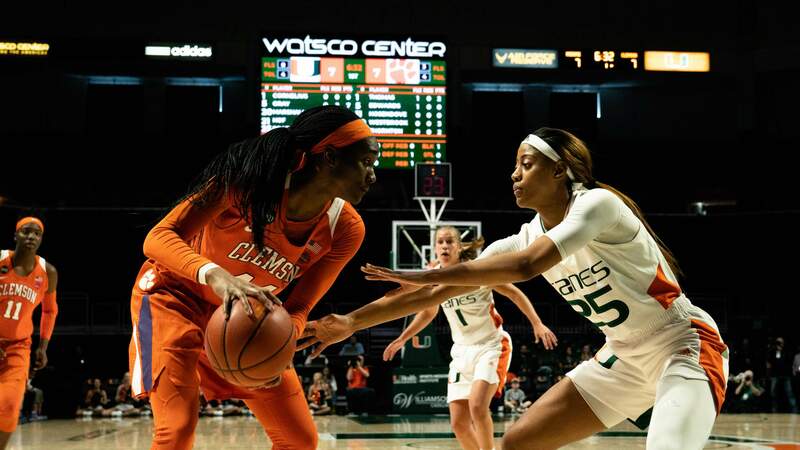 23 Miami Hurricanes (14-4, 2-1) at the Watsco Center for their first victory over a ranked opponent in seven years. 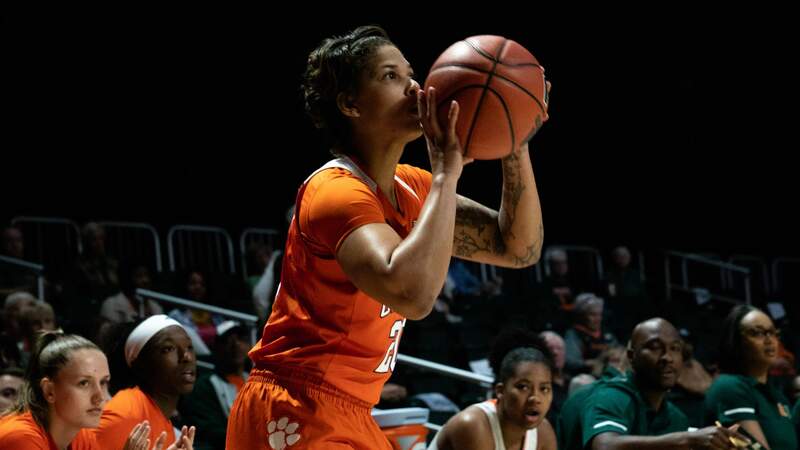 The Tigers outscored the Hurricanes 30-18 in the fourth quarter en route a hard-fought 76-67 win. 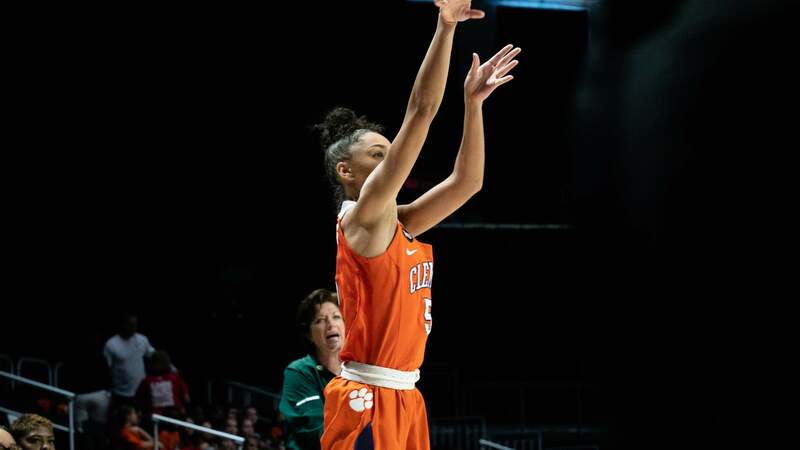 Eclipsing the 20-point mark for the second straight game, Clemson shooting guard Simone Westbrook was the leading scorer for the Tigers with 23 points on 9-of-17 shooting. 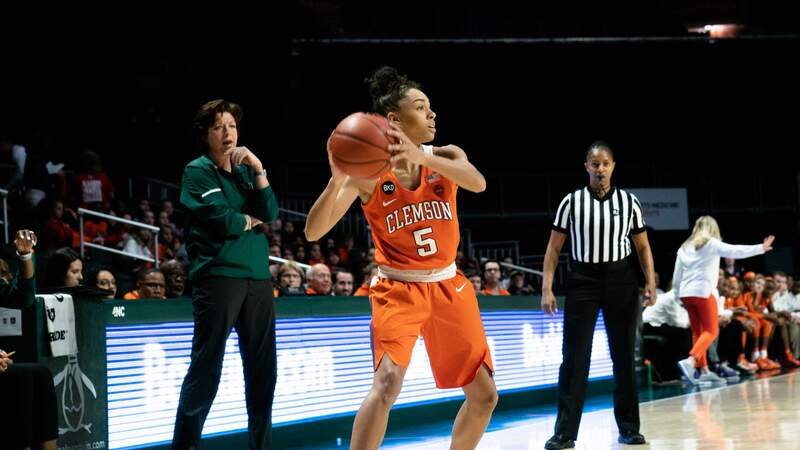 Forward Kobi Thornton was a pivotal presence down the stretch for the Tigers, pouring in 20 points of her own to go along with nine boards. 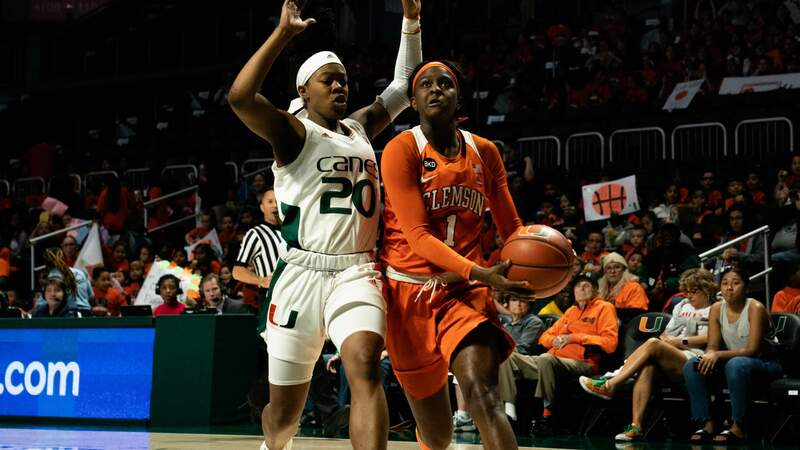 Dominating the Hurricanes inside, the Tigers scored 38 points in the paint and consistently drew fouls in the matchup. 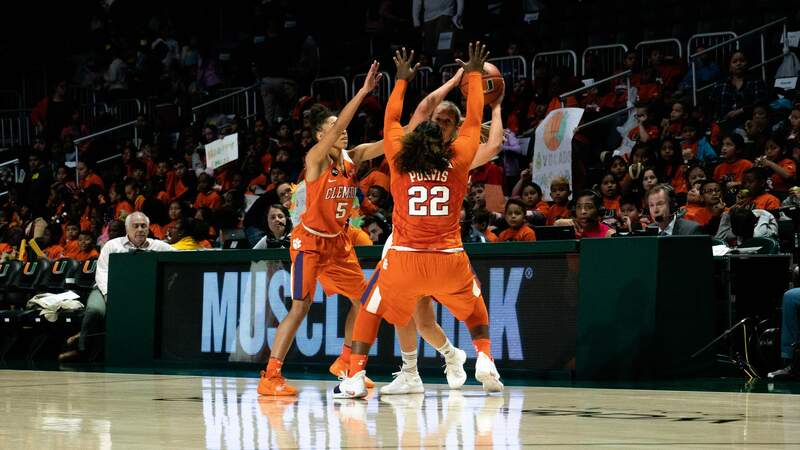 Clemson’s defensive intensity as the game progressed proved to be the difference in the contest as the Tigers forced 24 total turnovers to keep Miami in check. 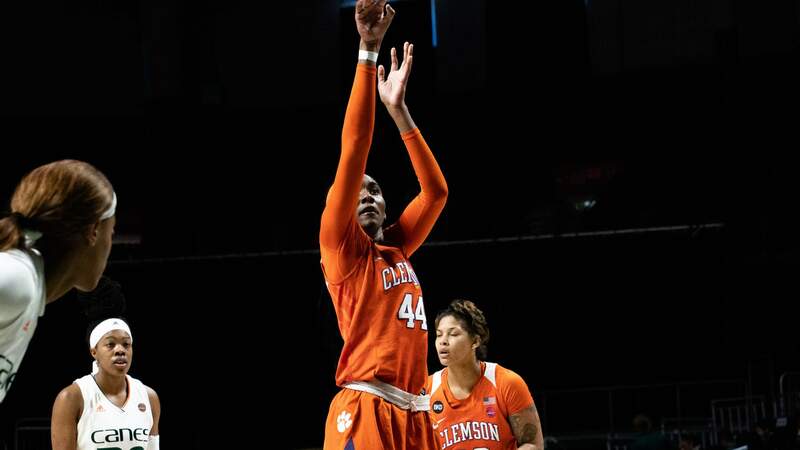 Thornton pours in the turnaround jumper and the Tigers are back on top! 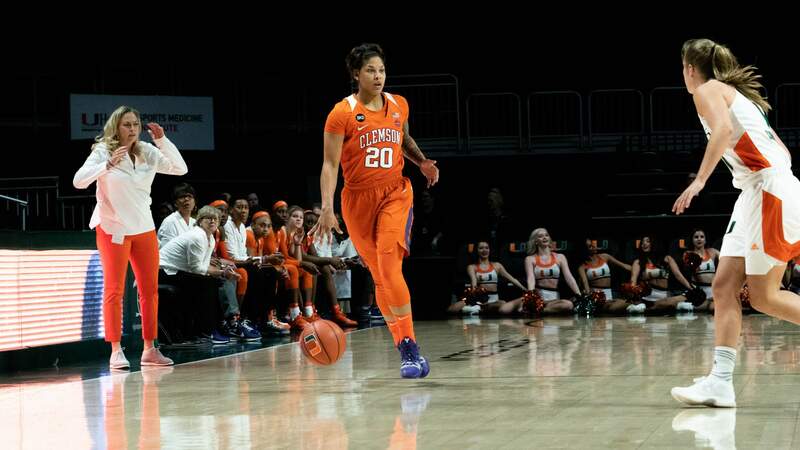 Despite getting off to a slow start in the first quarter, the Tigers came to play in the second frame, outscoring the Hurricanes 21-11 to take a 34-28 lead into halftime. 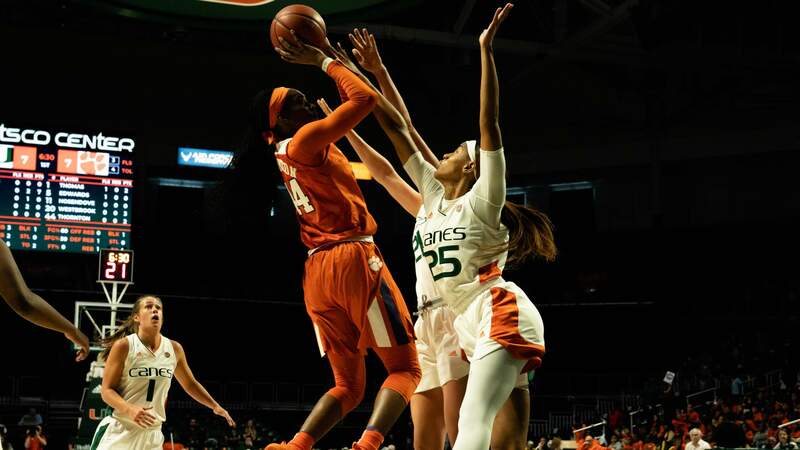 The Hurricanes came out firing in the second half and manufactured a 9-0 run of their own to go up 39-36 at the 7:31 mark. 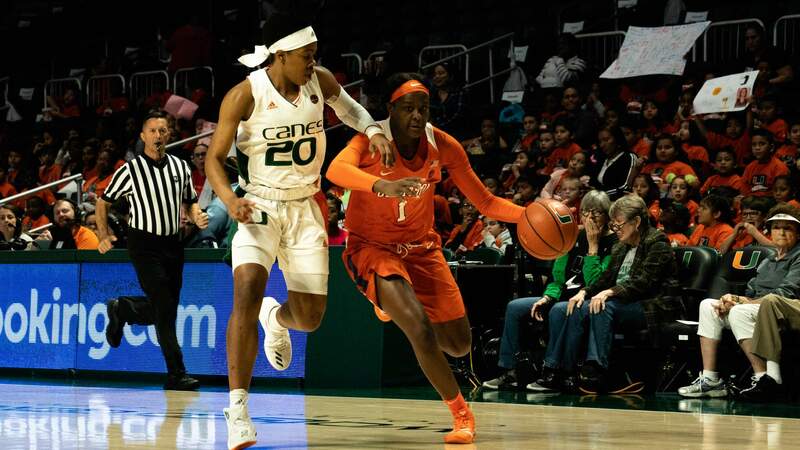 Miami stayed in front for the remainder of the quarter, but a steal and ensuing buzzer-beating layup by guard Danielle Edwards to close out the period foreshadowed Clemson’s electrifying fourth-quarter performance. 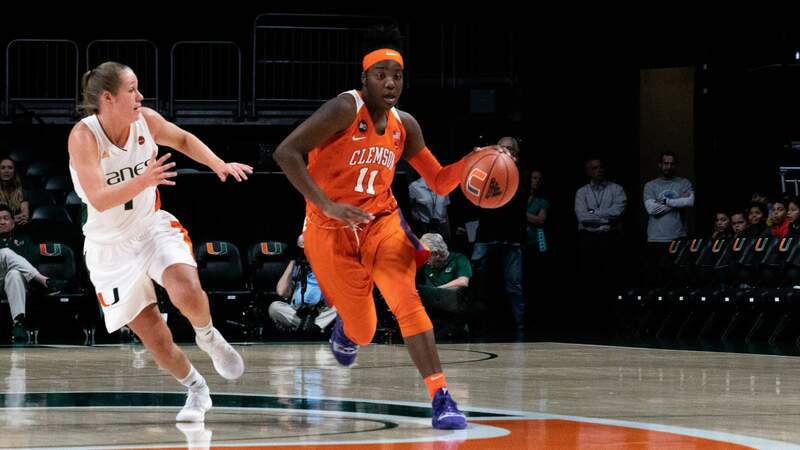 Pouring in a trio of 3-pointers in the fourth quarter, the Tigers gradually pulled away from the Hurricanes and picked up their first win over a team ranked in the USA TODAY Coaches Poll since Clemson knocked off a ranked North Carolina Tar Heels team on Jan. 12, 2012. Sitting above .500 for the first time since 2003, Clemson remains in the Sunshine State to take on No. 22/18 Florida State (14-1, 2-0) on Sunday, Jan. 13. 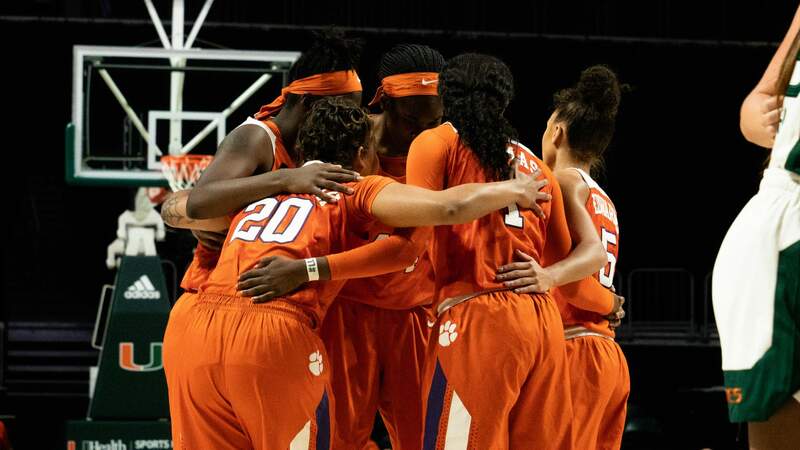 The conference matchup is scheduled to start at 2 p.m. and will be broadcast on ACC Network Extra.